Whenever I’m at my favourite pub (admittedly not often) or at my mother-in-law’s (sadly more often than I would like) I find that I have considerable trouble making a phone call. It’s so bad that I have to leave the house, and getting a data connection is considered alchemy within those four walls. I’ve never quite been able to work out whether the problem is structural or environmental – it certainly isn’t down to my mobile network as in the case of my mother-in-law’s house, no one who sets foot through the door can use the phone. It’s this that baffles me – how can mobile phone networks claim such high coverage when the majority of people can easily recall occasions when making a connection has been a trial? We’ve all stood on chairs with our phones held aloft, trying to “hook” onto a stray signal, but surely there is a better way to improve smartphone reception? We’ll move onto some of the more unique and complex solutions below, but there are a couple of things that you can try to improve smartphone reception beyond standing next to a window. I’ve found that since I started removing my phone from its rubber case that my signal is much stronger, particularly when driving and streaming Nokia Music into my car’s sound system How to Connect Your Android Phone to Your Car Audio System How to Connect Your Android Phone to Your Car Audio System Want to listen to music from your Android phone in the car? Here are your best options on how to connect, from aux cables to Bluetooth. Read More . The reason for this, of course, is because the case dampens the signal. It isn’t only cases that cause such problems, either. Remember Antennagate, when issues with users upgrading from iPhone 3 to iPhone 4 caused users to complain to Apple in their droves, forcing a response from the company? Depending on the model, how you hold your smartphone is paramount to getting a good signal. It is worth spending a few moments to find the optimum “holding stance” for you to use the device without a loss of signal; if this isn’t possible, however, start relying more on your hands-free kit or headset. Don’t blame your poor reception on your hand, however; where you’re currently situated could be a cause of your bad signal. Cell phone towers are situated based on their range, with the aim being to give users blanket coverage. This enables you to use your mobile phone wherever you are – within reason. The idea is that your phone automatically connects to the nearest tower, switching towers as you move around. Problems occur as you approach areas without a tower, and the strength of the signal degrades. When you can’t maintain a stable connection, calls are dropped and data won’t be received. Distance isn’t the only issue, however. Landscape can reduce your signal strength, so if you find that calls are dropping and data isn’t transferring, consider changing your position. Naturally if the problem is your entire property or place of work, this might be difficult, but hills, mountains, valleys and even trees can be as detrimental to a strong connection as a large steel structure (such as a tower, skyscraper or pylon) thick wall or pillar. One way to avoid losing your cell phone signal when you travel is to make better use of your phone’s roaming settings. 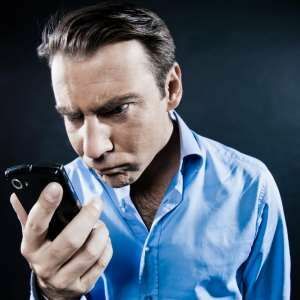 What would normally happen when travelling across the USA or from country to country is that as you lose your connection with the first mobile network you then connect to a second, based in the area you’re travelling to or passing through. How you access roaming settings depends on your carrier and your device, but this system can be used to select a preferred carrier/network for a specific area or location. An increasingly popular solution to improve smartphone reception is a signal booster, a device that comes in several different flavours. Should you choose this solution, you will need to make your decision based on your carrier and the band that your phone uses (2G, 3G, 4G LTE). Signal boosters work by amplifying the frequency of the radio waves carrying the data. Vehicle-specific versions of these devices can also be used, which are essentially cell phone variants of domestic Wi-Fi repeaters How to Turn an Old Router Into a Wireless Bridge How to Turn an Old Router Into a Wireless Bridge Not sure what to do with your old router? Try turning it into a wireless bridge! The process is surprisingly straightforward. Read More . Another solution is to use a femtocell, which can be added to your home or work wireless router to improve cell reception. Essentially these are miniature cell phone towers, and if your phone is within 2500 feet you should experience a full-strength signal. Meanwhile, there are also some DIY signal boosting tricks that you might try, but these can have the effect of voiding your phone’s warranty as they involve opening the device. Insulated wire and even paper clips have been used, but neither is a great long-term solution. Handling problems with your smartphone reception can mean doing something as simple as taking your phone out of its case, or as expensive as relying on a signal booster or a repeater. One is obviously cheaper than the other, but unless you’re experiencing issues while roaming, these are the only solutions available that don’t involve opening up your smartphone and affecting a fix that may or may not work. Have you used any of these tricks, or have any methods of your own to improve smartphone reception? Let us know in the comments. Where exactly would you put a paperclip? I'm so frustrated with my phone & lack of signal. My biggest problem now is that I just got this nice printer that works using wifi to connect with my phone. I really wanted a printer just to print coupons, the problem is the best coupon site has to send the coupons to my printer which needs a signal to do so but I have to turn wifi on to connect with my printer which completely destroys my signal, so without a signal the coupons can't be sent to the printer. I would love to hear more info on the signal boosters & any other tips you may have, I don't have internet service only internet on phone using data. Wish there were a decent priced internet provider, just seems too expensive, need to look into those prepaid hotspot gadgets. You are a genius..My phone has been just about useless for 3 weeks...No moblie data ..I bought a new rubberized cover about the same time I started having issues..I have just removed it and Bingo..it's working properly again. Thankyou so much! Sorry to hear that, Brian. Have you tried any of the signal booster tools? I hate to add this but I bought a Galaxy S4 and had terrible reception at our house in the country, then I bought an iPhone 5--same problems. Our OLD clamshell phones both worked better than these new smartphones in our house. The broadband modem on the iPhone didn't work, either--at all. 1. Radio frequencies "pour" down the roof like rain, are caught by the gutter and actually fall through the down spout. (Seriously) Outdoors are anyone's best bet at bars, especially if your house has stucco walls, which contain chicken wire. (It acts like a semi-shield to signal. Water, like that of a fish tank or a rain storm, diffuse signal effectively dulling it's edge. This goes on and on so to learn more, do as I have and go to a library and check out a book on Home Networking. Thanx 4 reading, please correct if I err'd. Well, interesting stuff here! I can see why, at home, I don't get full strength. First, huge trees pretty much everywhere plus I have a rubber case. Our house actually stands below the yard a bit (hard to explain) in the back. However, out in the car driving down the street, I get a great signal. Not much I can do about home but I am passing this info on to all my family and friends to see if it helps them. Once you get a signal, put the phone down so it wont move and place it on Speaker! A no-brainer, but few peeps seem to think of this. You seem to have hit on the easiest and best advice.Thanks! what if you get a good reception outside your house ... would you place your phone on the road and let any vehicle crush it ??? Kinda difficult to do when you want privacy. Just sayin. "... removing my phone from its rubber case ... the case dampens the signal"
If I remember my science correctly, insulators such as rubber should have no effect on radio signals, so perhaps the case is not pure rubber? Certainly anything conductive (such as your hand or any metal) that shields the signal will have an effect on signal strength. I find that holding my phone from the top helps in weak signal areas, because the antenna is in the bottom of my phone. That's a very good point. The case seems to be some sort of plasticy PVC rather than rubber, on considered inspection. I had Sprint send name a fem cell. I have had some Improvement in signal but because my Internet access is in the far corner of the house I cannot get a strong signal in much of the house. The fem cell would work better if I could more centrally locate the unit. My biggest problem is that the signal strength is constantly changing. I remain in one place, make a call, put the phone on speaker, set the phone down and watch the signal meter jump from 5 bars to 0 and back. This same thing happens when I am not on the phone. It sits there and the signal strength continues to shift. Nice article but an amplifier does not, amplify "frequency", the phone would stop working if you "shift" or mess with the frequency. You have to amplify the signal strength aka the signal "amplitude". Aluminum can alter-block-modify your signals, but not as much as ferrous metals, (steel-iron etc) and lead. As an engineer the 2nd best way is a passive repeater (like cars have) (buy for 5-10$ @ amazon etc and put on your "cell tower side," home window) or best is those cell 2way signal boosters, but they cost several hundred bucks. They do work but they need configuration, not for the average person. Although once done you're good to go. My Samsung G3 can't pick up a signal in the house next to a large window. Won't work on the 3rd floor near a window. Calls constantly drop while driving. POS! My last 4 phones worked in my basement at home!!! It's not the protective case. It's not signal strength since other phones worked fine. It's the darn phone. I've reset it twice and nothing changes!! Likely getting rid of it for a Motorola. I had to ditch my HTC for a Motorola, which works great; went from 0 bars to 2-3 at home. The agent told me it was a matter of the strength and placement of the antenna. Motorola did it right. I use a signal booster in the car as my work involves a lot of time on the road. One thing to mention is dont skimp out and buy the cheapest one you can find. Do your homework and find out what frequency your carrier uses, and even then.dont go for the cheapest. You can get boosters on eBay for as little as £20, I opted for one [LINK REMOVED] that set me back £80 (which is still fairly cheap) but it has paid for itself Time and time again with the extra business I have got from not missing so many calls. Also, always follow the installationstructions included with it, in my case they were in Chinese but luckily I had a Chinese colleague who could accurately translate it for me. From experience, if you dont set it up right it can severely impact how well it works, my particular model stated that the roof mount antenna should be placed as far away as roof space would allow from my car radio antemma, it made a lot of difference. ats my experiences anyway, I hope they prove useful to.someone. I have a smartphone, sony ericson xperia, with camera. My reception of signals is very poor though a tower is right in the neihbourhood. What can I possibly do to boost my reception without hardware and software? I also get this no service message. People have suggested aluminium foil which is cheapest for me. So maybe you have an idea how to utilise this for a better reception on my phone? The tower you see in your neighborhood probably belongs to a different carrier, all carriers do not transmit from the same towers. Unless they make arrangements to share, a tower is usually only for one company (and it might not be yours). I think this depends on your location. In the UK carriers regularly "piggy back" on each other's towers. I've found the best way to improve signal strength is to buy the right cellphone (and choose the right carrier) in the first place. Here in northern NY, cell reception is horribly spotty on ANY carrier, but I've yet to see my Samsung Galaxy S Showcase (S950C) on Straight Talk (Verizon towers) drop below 2 bars anywhere I've wanted to use it (home or elsewhere). There are probably places between towns where it drops out, but I don't use my phone in the car - ever. I have never had a good signal at home. It is "marginal" according to the Three (UK) website. I put up with it for years but after a recent phone upgrade I contacted Three to complain and they sent me a Home Signal unit (a femtocell AFAIK) and everything is now excellent. These things do work and I'd recommend anyone with a poor home signal to chase their provider. Otherwise, the only thing that I can suggest is to turn off wifi temporarily when trying to get a mobile signal - it sometimes worked for me! There are some great suggestions here, keep them coming! I also observerd the the phone signal also gets cut off when I'm inside of a building then the guard decides to roll down the aluminun gate thingy that hangs before you enter the door. The aluminum probably blocked the signal that supposedly should be entering to my phone. Solution? Go to the next floor above. Maybe the glass funnels the signals to your phone. I can't imagine how you would use your phone in a tumbler though. Someone might even accidentally pour water in it too.